If there is something that always makes sense, it's white lace. 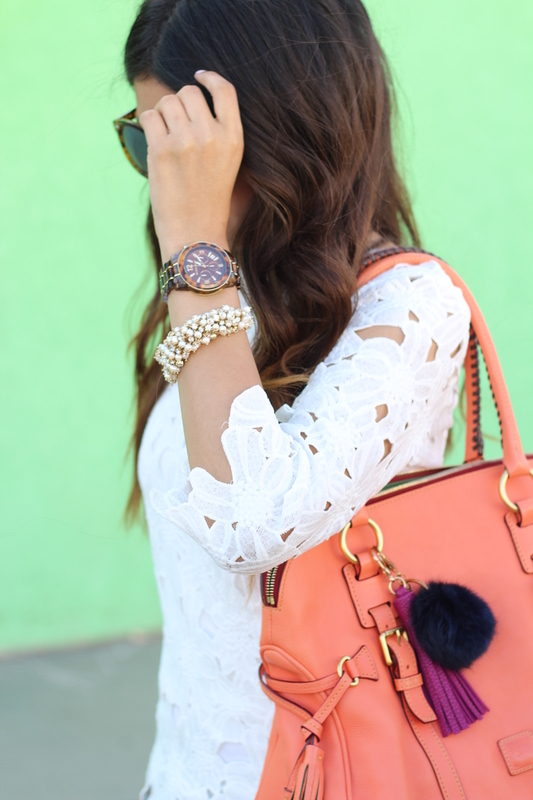 There is something so simple yet girly about white lace. Even paired with a simple pair of jeans, it can be so feminine. 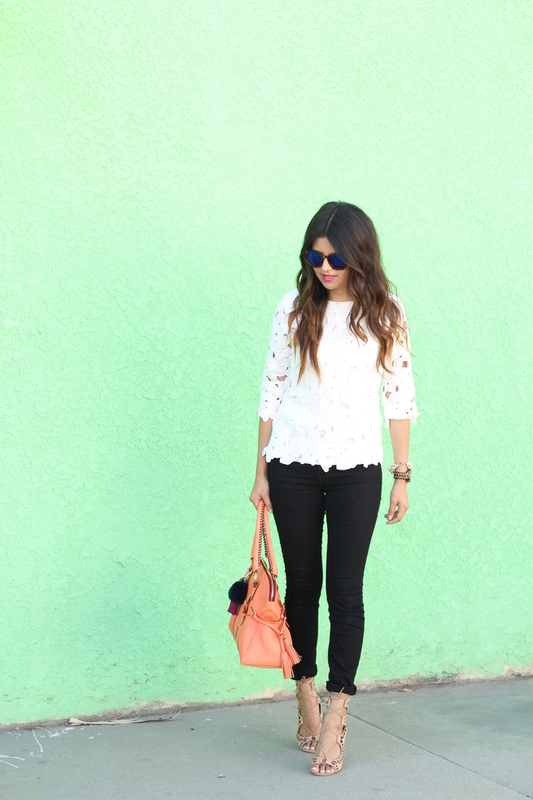 Today I am sharing this look, with a floral lace pattern top. I was happily surprised by the quality of the top- for the price, it's such a steal! I'll be honest, most days I'm lazy and don't feel like putting together an outfit. However, I always like wearing a pair of jeans and a top- it's my first instinct. So when I can find a great white blouse, I'm all in. This top is perfection!! I love everything about it! foget the top or the outfit. ummm ur hair?! sooo perf!!!! ahhh love. so jealous.